Machines that don’t work invariably put people in a bad mood. 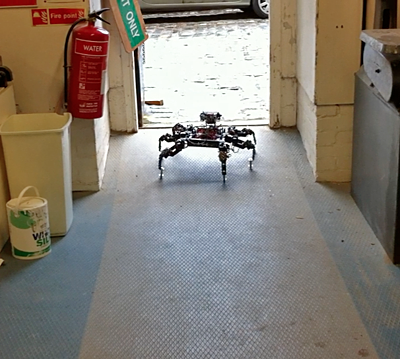 But the relationship between machines, mood and failure provides many sources of interest. “Mood machine” is not just an appealing alliteration. Type it into your search engine. There’s something intriguing about a machine that claims to put you in the mood (especially a good mood). There are many everyday candidates: the television set, radio, MP3 player, Playstation, home entertainment centre, cinema, and the more exotic virtual reality machines, electromechanically enhanced body suits, and brain monitoring headsets (with feedback). 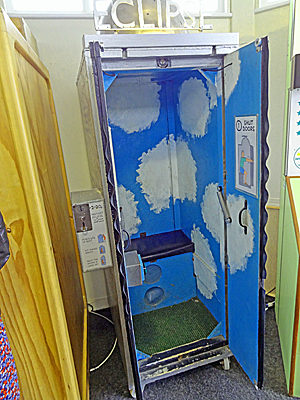 Mood altering machines have included fairground rides, jukeboxes and peep shows — anything that excites the senses. The architect Cedric Price invented the Fun Palace in the 1960s. It was a flexible frame structure the size of an aircraft hanger in which you could: “Sit out over space with a drink and tune in to what’s happening elsewhere in the city. Try starting a riot or beginning a painting – or just lie back and stare at the sky” (30). Wilhelm Reich (1897-1957) invented an “orgone accumulator.” Woody Allen placed an “orgasmatron” in his film Sleeper (1973), and there’s the Excessive Machine in Barbarella (1968). Sadly, such fantasies focus on the inducement of pleasurable moods mainly as solitary and short-lived experiences. Automated stimulation of the senses implies our ability to adjust our mood to any circumstances. But mood control is not that easy. In a 1999 article (PDF) memoralising Alan Turing’s indirect contribution to computer-aided design, some of us posited a cultural theory of machine failure. We proposed several creative machine categories that intersect with Turing’s theoretical and actual machines, such as his encryption, universal and cipher machines. We proposed the following categories. Subversion machine. As well as carrying out a function, a machine can serve to expose and exploit the dysfunction in other machines. 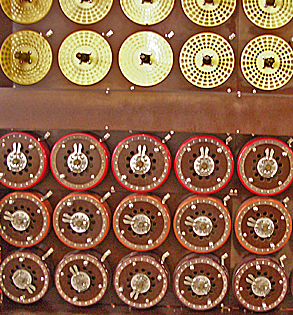 Turing’s early encounter with encryption machines was as strategic instruments of war. Military operations were only effective if internal communications could go undetected. The encryption machine exploited the weakness in enemy communications. Improving machine. Any machine is on the way to perfection, full and perfect functionality: if not in this generation then through its successors. Turing’s machines are often invoked in a lineage of devices to situate the computer, to give it a legitimate place in a history of improvement. As with biological evolution and adaptation you need failure to drive change. Perfect machine. The improving metaphor suggests progress towards an ideal machine. Turing had such a machine in mind as he broached the concept of the Oracle, the universal machine that could perform “uncomputable” operations. Mathematicians harbour the concept of the ideal machine, the mathematical and logical construct that is theoretically useful, but otherwise impractical to build and use. Dysfunctional machine. 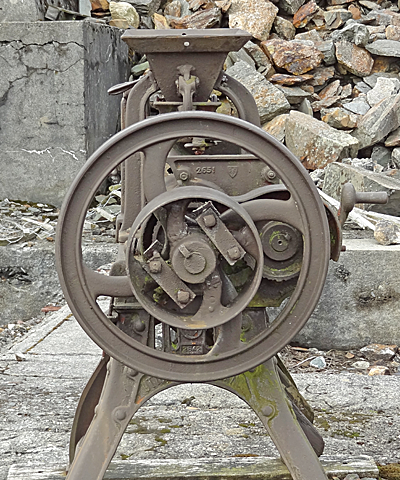 A typology of dysfunction would include machines that do not do what they are supposed to, machines with unexpected behaviours, machines that fail intermittently and unpredictably, incapacitated machines, imaginary machines that could never work, machines as amusement, machines conceived in ignorance of machinic operations, and machines pushed beyond the limits of their effective functioning. The overt mood altering machines outlined above all have some brush with failure. Cedric Price’s Fun Palace was never built, and was an amusing fantasy anyway. The “orgone accumulator” was a metal box you would sit in in order to harness and amplify sexual energies (Williams, 2013). Needless to say it didn’t go anywhere. Woody Allen’s “orgasmatron” was of course a joke in a film, incapacitating its occupant. The Excessive Machine in Barbarella overheats and implodes. The joke about pleasure-enhancing machines is that you can get too much of a good thing. But then failure is not necessarily the end of the story. Here’s what we said in the article as a homage to so many failed experiments in computer-aided design, ie supposedly better CAD machines. I think our eulogy applies to any machine, including mood machines. Countless research programmes in computer-aided design attest to the fact that even though a computer system may not function as proposed — in providing the intelligent user interface, the seemless sketch environment, automated plan generation, user acceptance, automated design assistance — that does not invalidate the research programme or render it useless, especially if we see the machine much as the surrealists regarded the object, as an intervention into some context, that has the potential to expose something new by virtue of the differences it brings to light. In this light, Turing’s machines are interventions into the context of reflections on thought, exposing what thought is and is not. Reflections on mind developed within analytic philosophy, phenomenology, structuralism and cognitive science, offer various forms of accommodation and resistance to the provocation of Turing’s machines, which did not need to be fully functional to fulfil this role. Similarly, the design enterprise can be abetted by computer-aided design (CAD) machines, but it can also be informed by machines that do not work, and those aspects which fail to meet our expectations. This is not to champion dysfunctional computer programs, but to recognise that CAD has an impact other than making drafting easier. CAD machines have provoked new understandings of design, not only by showing what design is, but revealing what it is not (p.31). At the very least, I think failed mood-enhancing machines can assist in exposing failures in our thinking about pleasure, mood, emotion and cognition. Perhaps, in turn, this failure leads to deeper understanding … or unfailing humility. Turing, Allan M. 1995. Computing machinery and intelligence. In E. A. Feigenbaum, and J. Feldman (eds. ), Computers and Thought: 11-35. Cambridge, Mass. : MIT Press. Also see posts: Phone hacking enigmas, Lego logics, Data waste, LeCorbusier’s error, and Vitruvius does steampunk. To render this post of the moment: if you type “Thatcher machine” into Google then you’ll soon discover you can pick up a petrol-powered dethatcher for £159.99. The potential failure of nanotech self-building robotic machines perhaps raises another class of issues: Guardian article: 4D-printing: from self-assembling chairs to cancer-fighting robots.